We woke up that last morning earlier than our alarm. Our departure time from Holiday Inn that morning was 8:50am — the latest that we had to leave in the past 6 days. We took our time getting ready and enjoying Mequeni’s breakfast buffet, and checked out of our hotel for the last time. Our activities in Clark that morning included El Kabayo and Paradise Ranch. 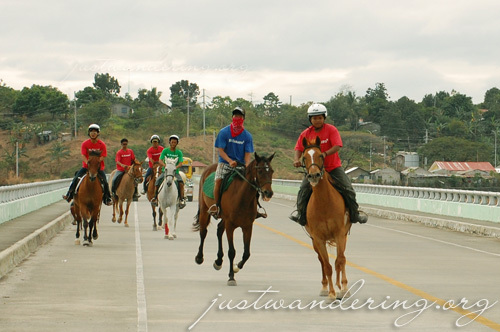 Since there are only 6 horses available for riding, the group was split: half the group goes to Paradise Ranch on the Jeepney Juan (an airconditioned touring jeep), while the other half goes to El Kabayo on the Victory Liner Lakbay Norte bus. El Kabayo’s building had a western facade that gives you a feel of the Wild West. The stables are housed within, along with a saloon where you can relax after a turn in the saddle. Wireless internet and massages are also available within. The horses of El Kabayo are former polo or show horses, which means they’re used to being saddled and ridden by humans. You can ride the horses within the ranch, assisted by their very capable grooms. Six members of our group mounted their horses and made their way out of the ranch, while four of us rode in the white (princess-y) carriage. We clip-clopped on the pavement, following the line of horses, breaking into a gait to lead the herd. We were lulled by the movement of the carriage, only to be jolted awake by our horse’s uneasiness about walking past a metal strip along the bridge. Halfway across the bridge, the Jeepney Juan comes and we all boarded for a faster (and more comfortable) ride to Paradise Ranch. While the other group had a more extensive tour of the property, we were only able to visit the butterfly garden due to time constraints. 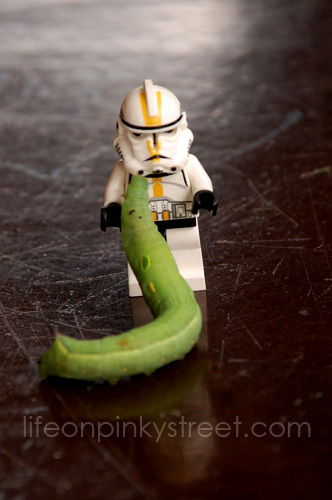 My little Star Trooper was happy enough to make a new friend though. Soon enough we were back in the bus and rushing towards another stop. Our last lunch was at Oasis Hotel, and though it was a Sunday, we were treated to their Friday buffet menu featuring roast beef and lamb. This wasn’t our last meal though; we had that at Lakeshore. Located in Mexico, Pampanga, Lakeshore features a 12-hectare man-made lake that is fast becoming a favorite wedding and leisure venue. There’s even a small island where you can entertain guests (or in our case, our last videoke and press briefing). RELATED: What do you bring on a one-month trip? Our final stop in North Luzon was at the Robinson’s Starmills in San Fernando. A mall stop seemed to be out of place amongst the heritage and adventure spots we’ve covered in the trip, but when they’re a corporate sponsor, you add them to the itinerary. I was quite happy that they did though, because Robinson’s Starmills is haven for outlet shopping. Di ba, Ella? How does wearing your Php 1,800 Nine West pumps feel? The mall merits another trip, preferably without a time limit. We set off for Manila just past 6pm. Traffic was still pretty light at that time, except for Dinalupihan. Just a little before 8pm we pulled into the Kamias terminal of Victory Liner, lodging a total of 1,798 kilometers for the entire trip. 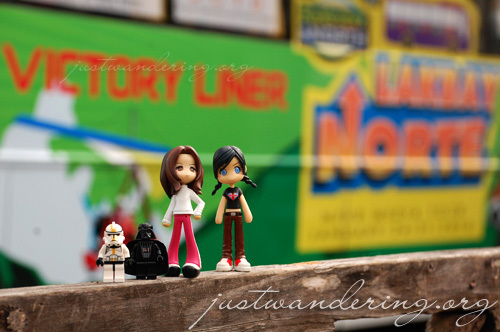 I write this now from Quezon City, a full week after I got back from the trip. I meant to write the post last Sunday, but sleep won. During the entire week, I never ventured beyond Quezon City (the farthest I’ve gone was Katipunan/Project 4). It felt kinds weird staying put in one place for such a long time and taking my meals alone. We all enjoyed the trip immensely, and though we just spent 7 days together, we couldn’t get enough of each other. Everyday, I’d wake up to 20+ messages in my inbox, 90% of which are Facebook notifications, and each night we’d have a Skype conference session (I’ve never loved Skype as much as I do now). Some of us have already met up (UP isaw! ), and we’re already making plans to get together in the coming weeks. I’d like to take this chance thank the North Philippines Visitors Bureau and all the CVBs and sponsors not just for showing us the beauty and tourism potential of Northern Luzon, but for giving us this opportunity to meet these great people — the 26 awesome travelers I’ve shared the bus with for 7 days and the tourism officers and guides who warmly welcomed us in their hometown. In the words of General Douglas MacArthur, I shall return to Northern Luzon.